Darin’s practice is concentrated in the areas of estate planning, trust and estate administration, real property transactions, and tax law. He advises clients on a wide range of estate planning techniques ranging from simple wills to sophisticated tax- and business-succession-planning vehicles. Darin advises many closely held and family owned businesses on tax and corporate matters, and serves as clerk and advisor to numerous corporations and LLCs. 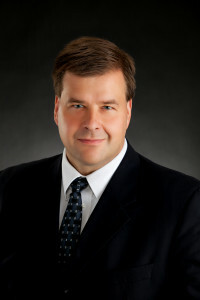 Darin earned his Law Degree in 1998 from the University of Maine School of Law, where he was Managing Editor of the Maine Law Review, and his Bachelor’s Degree in 1991 from Concordia College, Moorhead, Minnesota. Darin lives in Fairmont with his wife, Lori, and their four children.